Here are five great downloads designed to handle all of your media-playing and disc-burning needs. 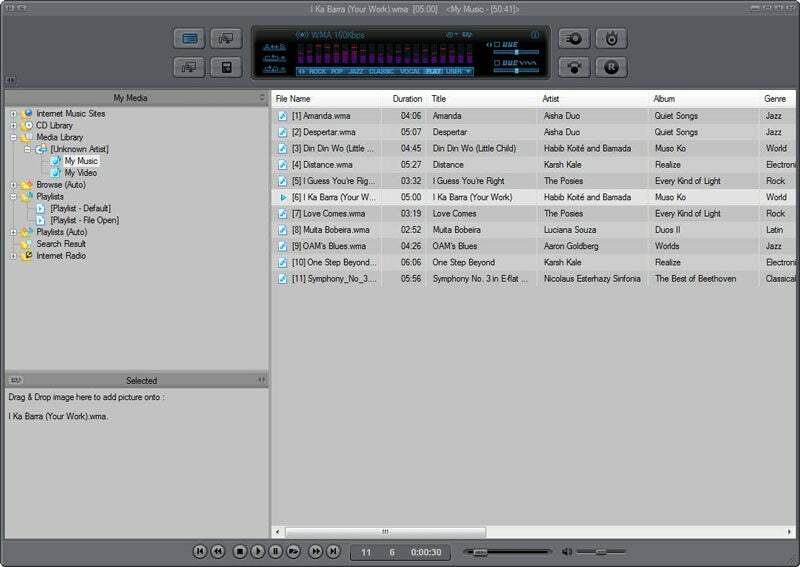 Foxy Tunes lets you control many types of media players and play CDs from within Firefox, SeaMonkey, Flock, or Mozilla Thunderbird. If you spend a significant portion of your life surfing the Web while listening to music on your PC, you probably have to put up with an annoying problem: Your media player (Windows Media Player, say) is probably a rather bloated application, and all too often you must switch back and forth between your browser and your player to pause songs, jump to the next track, increase the volume, and so on. Foxy Tunes corrects the problem. Though it runs as an unobtrusive toolbar in your system tray, it offers you a full set of media controls in the form of small clickable icons. The program identifies what's playing (including displaying the album art), is skinnable, and can be controlled via keyboard shortcuts. It supports more than 30 media players, and runs as a Firefox extension, though it also works in SeaMonkey and Flock browsers, as well as in Mozilla's Thunderbird e-mail client. A beta version of Foxy Tunes for Internet Explorer is in the works. Download Foxy Tunes for IE, or download Foxy Tunes for Firefox. JetAudio Basic is a free, full-featured media player that can rip and burn CDs, too. Not happy with your current media player? Then it's time to switch to this surprisingly full-featured freebie. It plays many kinds of audio and video files, of course, and it also lets you rip music, burn CDs, and even record music from various incoming sources. Its built-in Internet radio player displays dozens of Internet-based radio stations. And if confusing media players exhaust you, you'll welcome JetAudio's stripped-down interface and simple method of browsing for files. Another nice plus: You don't have to use the main player controls--a nifty little bar that appears across the bottom of your screen supports such options as playing music, ripping music, and burning CDs. 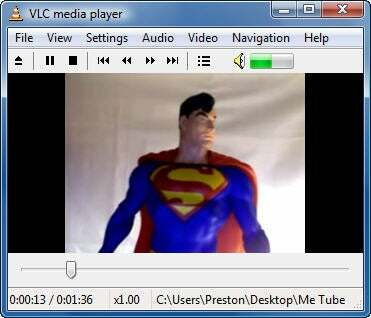 The free VLC Media Player can handle any audio or video format you throw at it. In a world that seems to see a new type of media format launched every day, it's easy for media players to run into problems playing certain types of files. In particular, Windows Media Player often tells listeners that they need a special codec in order to open a particular media type. But finding a specific codec can be aggravatingly problematic. The free VLC application plays an astonishing array of media types--so many that you may never encounter a type it can't play. Minimalists will love its simple interface; in fact, it's about as stripped-down a program as you'll ever find. Tune in to the vast universe of Internet radio stations with Online Radio Tuner. The Internet is bursting with free radio stations that offer specialized formats--jazz, classical, dance trance, alternative rock, or just about anything else. How do you navigate through the embarrassment of riches to find the stations you want? 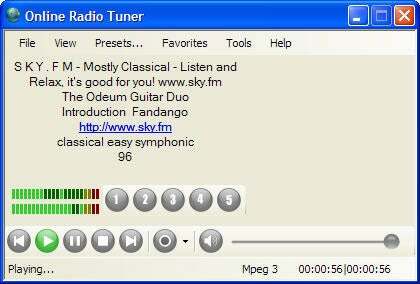 With Online Radio Tuner. This shareware categorizes radio stations into several dozen genres, and lets you listen to any of them with a click or two. It constantly updates its list, too, so you always have the access to latest stations. And since the player is small and unobtrusive, it can sit in the background while you listen. Express Burn lets you create music and data CDs, video and data DVDs, data HD-DVDs, and even data Blu-ray disks. Sometimes all you want to do is burn, baby, burn. For those occasions, you'll want this program, which has pretty much every feature you could ask for in burning software. It can handle music and data CDs, video and data DVDs, data HD DVDs, and even data Blu-ray disks. Before you burn, you can see how much space is left on the disk, so you can make sure that it will all fit. You'll find that it's easy to remove or add data or audio and video. Prior to burning audio CDs, the program normalizes all of the tracks so that they record at a consistent volume, instead of jumping from a whisper to a scream without warning. You can copy entire discs, too. Express Burn is shareware, and it costs $27 to register.